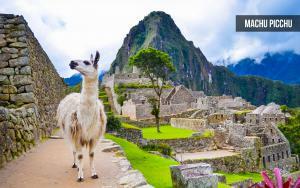 The Salt Lake Chamber and World Trade Center Utah invite you to travel to Peru! This international trip visits the Inca nation known for its stunning natural beauty and ancient civilization. 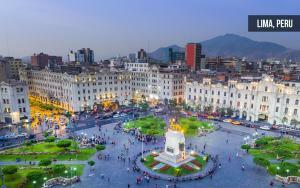 Stay in Lima, Peru’s capital, known as the City of Kings. Travel by train to Cusco, the historic capital of the Inca Empire, where you will spend time at the famous Sacred Valley of the Incas, home to the mountainous citadel of Machu Picchu. 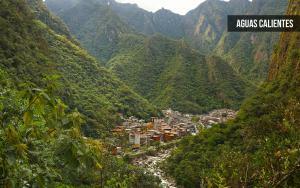 Aguas Calientes, Huaca Huallamarca and the village of Maras are yours to enjoy as we explore Peru. *Price is per person, based on double-occupancy. Taxes not included (approximately $150). Single supplement is $599. REGISTRATION FOR THE 2018 PERU TRIP IS CLOSED. Arrive in Lima, Peru. Lima is know as the “City of Kings,” and was founded on January 18, 1535 by the Spanish Conqueror Francisco Pizzaro. It is a cosmopolitan city that blends the splendor of its colonial past with the modern era. Nestled on the banks of the Rimac River and the shores of the Pacific Ocean, Lima is home to the seat of government; the country’s most important institutions and 1/3 of Peru’s population. Explore museums, city beaches, shopping areas and then enjoy the exquisite cuisine that gives Peru’s capital its authentic personality. After a buffet breakfast, take a walk around the Main Square, Presidential Palace, the Cathedral, the Archbishop’s Palace and Metropolitan City Hall. Then visit San Francisco Monastery, the most spectacular church of colonial Lima, housing the catacombs and a very fine museum of religious art from the XVII century. Then tour the modern district of San Isidro to see Huaca Huallamarca, a pre-Incan pyramid made out of adobe, and end up in the district of Miraflores to see the Pacific Ocean coast. After lunch visit one of Latin America’s most complete museums, the Larco Museum, with its unequaled private collection called the Treasures of Ancient Peru; it inspires its visitors to discover, learn about, and enjoy the more than 5,000 years of Peruvian history. There are more than 45,000 ceramic artifacts on display, mostly from the Mochicas, which were compiled by Rafael Larco Hoyle, an important Peruvian archaeologist and major collector. The evening will conclude with dinner at a local restaurant in Lima. After a buffet breakfast, you will board your flight to Cusco. Upon arrival in Cusco you will be transferred to your hotel. Cusco is known as the ‘Archaeological Capital of the Americas’. 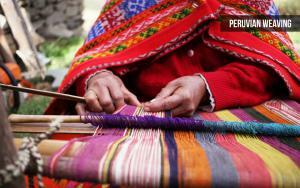 Cusco is a beautiful city of contrasts between the indigenous way of life and the modern western world. It is these contrasts that have given Cusco its rare beauty. In the afternoon get to know the city of Cusco, an UNESCO World Cultural Heritage site and possessor of a style all its own. The tour begins at the Koricancha Temple, an old Inca palace and main center for the worship of the sun god, Inti. Once the Spanish conquered Peru, the Dominican order built a church over the temple’s foundations: the Church of Santo Domingo. Then visit the Main Square and the Sacsayhuaman Fortress, built of enormous stone blocks expertly shaped by the Incas. 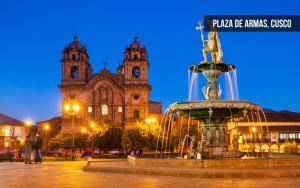 It is strategically located at the top of a hill overlooking the city of Cusco. 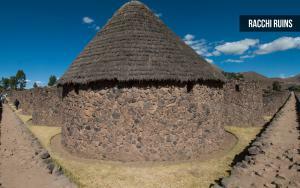 The tour will also visit to three archaeological sites: Qenko, Puca-Pucara, and Tambomachay, important religious and administrative centers for the Incas. That night, enjoy dinner and folklore show at local restaurant. Enjoy a morning train to Aguas Calientes to visit one of the new Seven Wonders of the World and an important source of energy: Machu Picchu. On the way, see Urubamba’s Sacred Valley. After arriving in Aguas Calientes, board the bus to Machu Picchu archaeological site. It will be an unforgettable experience. A professional guide will walk you through the intriguing story that envelopes this mystifying place. After discovering this UNESCO World Cultural Heritage site, you can explore at leisure, or simply relax and meditate. After lunch, return to the hotel. Dinner tonight will be served at the hotel. 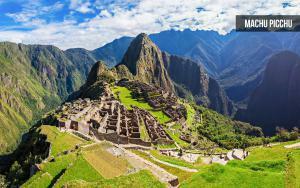 Why not experience every nook and cranny of Machu Picchu on a second optional visit? Standing on the top of a mountain range, being able to witness one of the world’s most ancient cities being illuminated by the sun’s rays, revealing an abundance of color and contrast, is a truly mystical experience. Whether your quest is spiritual or photographic, you’ll be awestruck with the impressive views. After breakfast board the train back to Ollanta station. Then enjoy the beautiful panoramic windows, to make the most of the spectacular scenery and allow for fantastic photo opportunities. 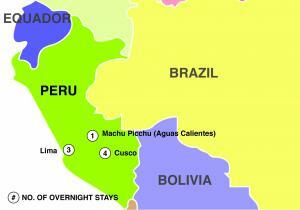 Upon arrival back to Ollanta you will be transferred to your hotel in Cusco. Check-in, relax or continue to explore the wonders of Cusco and their Inca influence. Explore the heart of the Inca world – Cusco. Experience some of the country’s finest colonial and religious splendors, shop in its vibrant and colorful markets. Transfer to the airport for your international flight home. Due to flight schedules your return flight may arrive back to the USA on day 10. Not ready to go home? 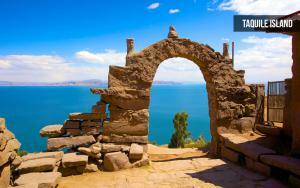 Extend your stay in Puno, the beautiful city on the shores of Lake Titicaca. Early morning you will be picked-up at your hotel for the day-long bus journey to Puno on the shores of Lake Titicaca, the highest navigable lake in the world. First you will visit Andahuaylillas, a town where a precious church from the 17th century boasts an amazing organ decorated with angels and cherubs. After this you will visit Racchi ruins, known as “The Temple of God Wiracocha”. The last stop before arriving to Puno will be La Raya, highest point on the road between Cusco and Puno from where we will get excellent photo opportunities. After this you will arrive to Puno. Upon arrival you will check into your hotel and relax. The day begins early as you head out of the city of Puno towards Taquile Island, about 35 kilometers away and 3950 meters above sea level. The culture on the island is old, dating back to Pre-Incan times. The islanders still live according to the traditions and beliefs of their ancestors and are world renowned for their lovely outfits and incredible textiles. In fact, UNESCO has declared the textile art of Taquile Island as a Masterpiece of the Oral and Intangible Heritage of Humanity. Next, while still on the island, you will visit the community of Huayllano, whose members will show you their everyday artistic, handicraft, and farming activities. 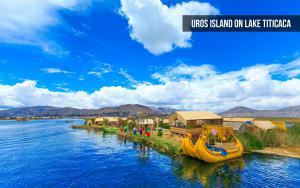 After this time of sharing, you will enjoy a box lunch and then sail over to the famous Uros Islands, a set of man-made floating islands in the middle of the Lake Titicaca National Reserve. Here, you will meet the islanders, hunters and gatherers and descendants of the first Altiplano inhabitants, who still live on totora reed platforms. At the end of the day you will be taken back to your hotel. After breakfast you will be transferred to Puno airport to board your flight back to Lima and then to the USA. Due to flight schedules your return flight may arrive back to the USA the next day.